We understand that young children enjoy and benefit significantly from interactive and short sessions – with lower attention thresholds a given! Therefore we have created 2 packages that work on a rotational basis* with timed combinations of learning/doing activities that will keep the children engaged throughout. Each package covers a number of key stage and curriculum areas, including; nutrition, history, physical activity, personal care, animals and nature. The day’s session runs from 9:30am – 2:30pm to fit in perfectly with school hours and the price for the day is £12 per child. 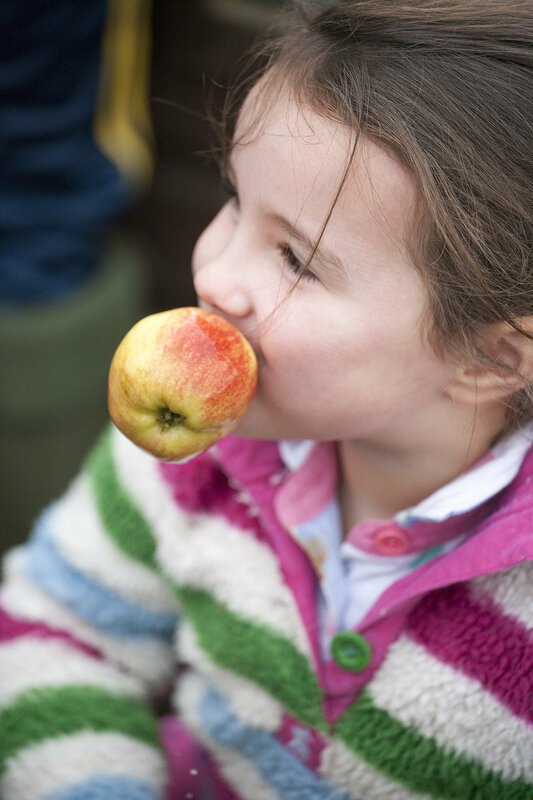 Everyone will be given a safety induction at the start of the day and the activities are split with a designated lunch break** and “bobby apple” (!) break in the morning. Those activities marked with an asterisk (*) can be swapped out with one from another session, depending on your individual requirements. If you require something fully bespoke then just contact us – we’d be happy to oblige. *rotation formation is decided depending on numbers in groups of 8. Minimum of 8 children required for primary school packages or surcharge will be added. The children will learn about how horses have played different roles for humans throughout the years. This will be a very interactive session with the children having the chance to dress up and use props to engage their learning. This children will learn the different sports associated with horses and the different types of horses that are needed for each. The second half of the activity is a really fun, physical session with some un-mounted pony games! This will give the children a flavour of the sports while also having fun and getting fit. This activity will show the children the different places a horse can live. They will learn why some horses live outside and others live in a stable and what a horse may need depending on its particular nature and circumstances. 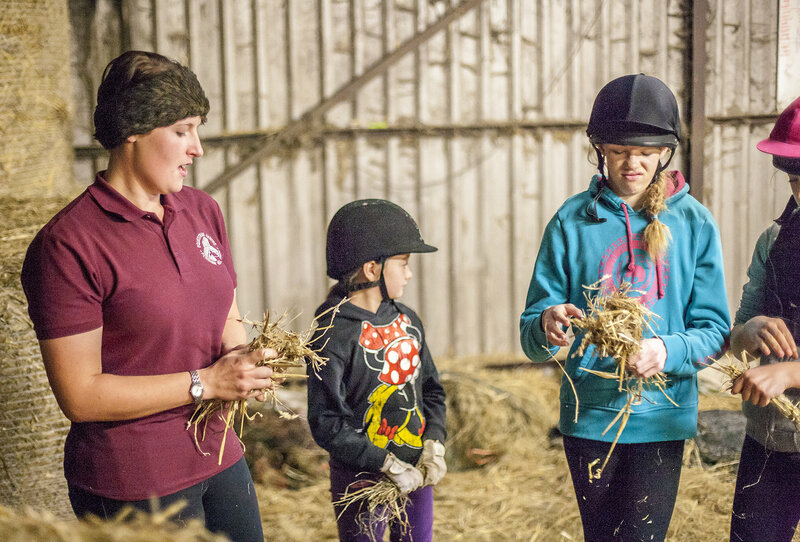 This activity will give the children the opportunity to get out and about to see different horse home environments – and even contribute to making a homely stable for a lucky horse! This will be an instructor-led session that will give the children the opportunity to have a ride on a pony in a safe and secure environment. The children will learn about the different foods horses need and how just like humans, some horses need different feed to others and can run into problems if they have too much! They will get the chance to see the different grains and fibres horses eat before getting to make their own feed for a horse on the yard. This is an arts and crafts session where the children will learn about the importance of horseshoes for a horse’s wellbeing and also how they have developed as a good luck charm. The children will then make a horseshoe for someone or something they think needs good luck – which could be as simple as a football team! This activity will concentrate on the care of the horse and which instruments have been used to groom horses throughout the ages and how they have changed. The children will spend the first half of the activity in the classroom getting to know the grooming kit before heading out onto the yard to groom a horse themselves. This is an arts and crafts session where the children will be able to draw/make their favourite pony of the day. The last activity of the day will be a treasure hunt where the children will have to answer questions on what they have learnt during the day in order to find the next clue for the treasure, with each child receiving a goodie bag at the end.